Ivan Rakitic is most likely to sign a new Barcelona deal and reject Manchester United’s offer. According to Mundo Deportivo, the Croatian midfielder has told his agent to block all offers for him. But that doesn’t mean Jose Mourinho, whose efforts were yet again spurned in the summer, will walk away. 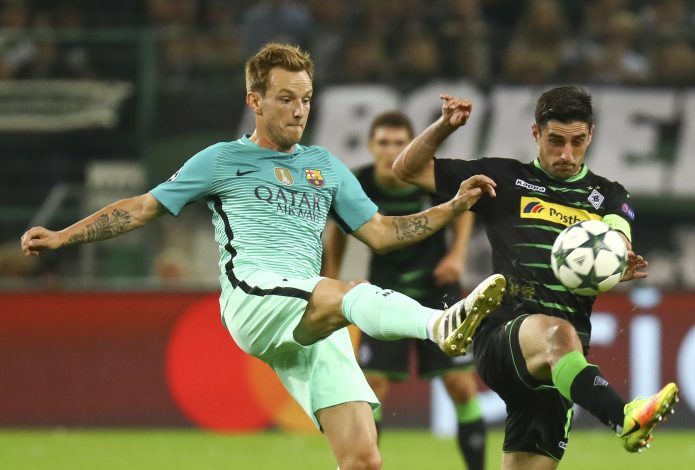 Rakitic has been facing stiff competition at Barcelona this season from young talents Denis Suarez and Andre Gomes. Although none of them have lived up to expectations till now, which may have prompted the 28-year-old to not lose hope and keep fighting his way back into Luis Enrique’s first team. Arda Turan and Rafinha also stand in Rakitic’s way. However, Barcelona and the star performer, who scored their opener in the 2015 Champions League final against Juventus, are keen to reward each other’s loyalty, and therefore, neither is ready for a transfer before 2019, when Rakitic’s contract runs off. His agent, Arturo Canales, said last month: “Ivan is very happy at FC Barcelona, where he has been tremendously successful and has a contract with the club until 2019. The Croatian has some mouth-watering offers from Chelsea and Juventus, along with Manchester United, who would hand him regular football. But, money can’t always buy loyalty. Rakitic is also believed to have decided to keep his family in Spain. Although there is one other option, but it would be a brave one. Barcelona beat Madrid for Rakitic when he joined them from Sevilla in 2014, and Galacticos president Florentino Perez would love the chance to bid once more if he is available. But Barcelona have no such intention of prompting a popular figure like Rakitic turn into the new Luis Figo by letting him make a switch to their arch rivals.